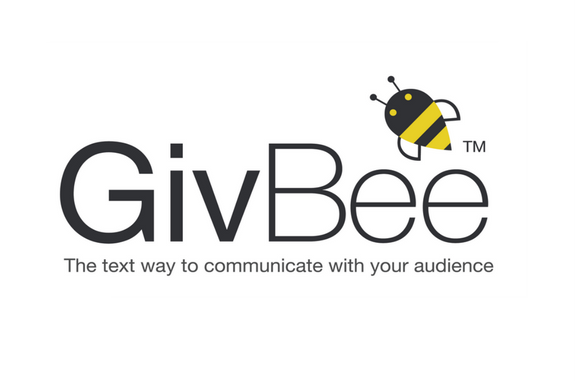 Founded in 2015, GivBee, LLC is a technology-provider specializing in SMS solutions for non-profits and for-profit companies who want to leverage the popularity and convenience of text messaging to communicate with an audience. 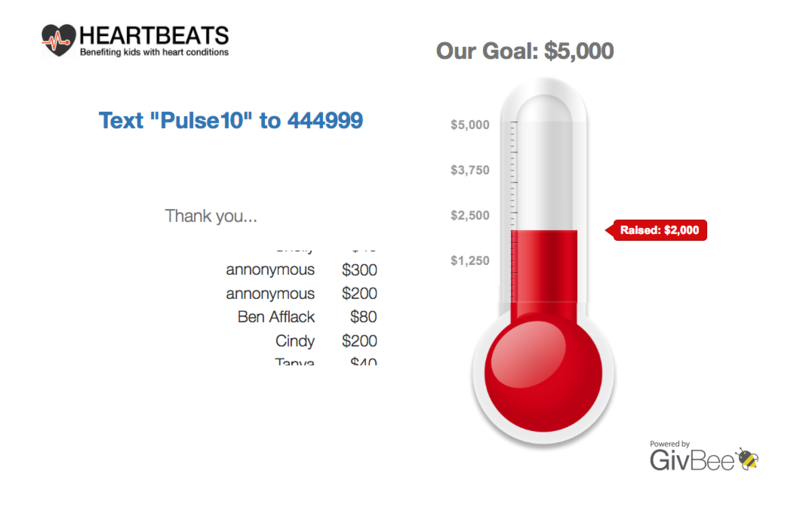 GivBee’s self-service, web-based platform makes it easy for users to set up auto-response text campaigns to raise funds, tell stories, distribute news, increase participation at events, conduct surveys, and much more. 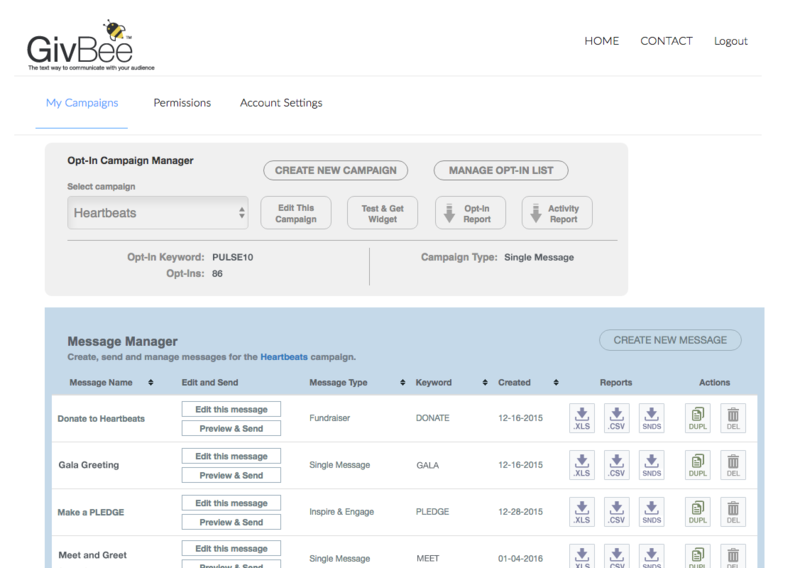 GivBee users can create and send text message campaigns in just minutes. Special skills not required. 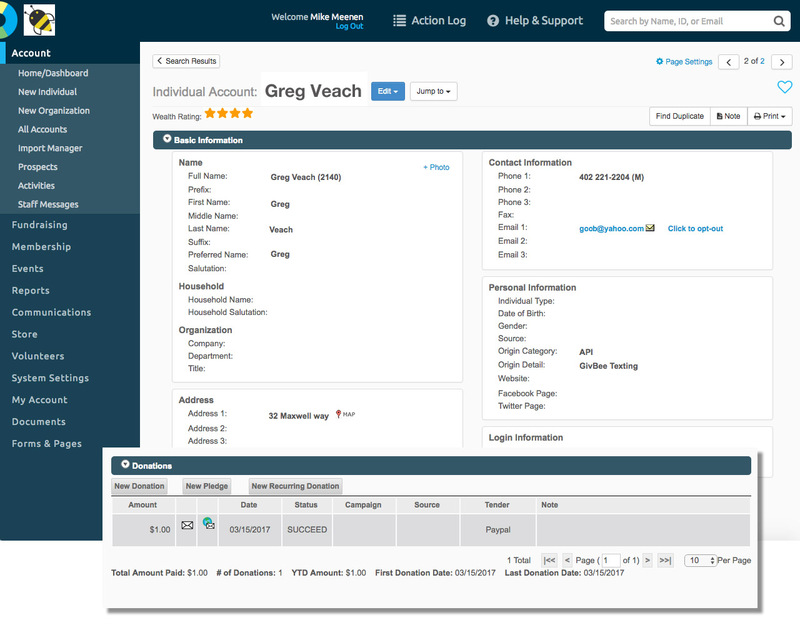 GivBee’s integration with NeonCRM enables users to automatically capture data into their NeonCRM when a person donates or communicates via the GivBee texting experience.